Reflecting on the past year in the world of Disney entertainment, we remember the premieres of new films and attractions, as well as the moments that helped make 2015 to be one of Disney’s finest in recent decades. 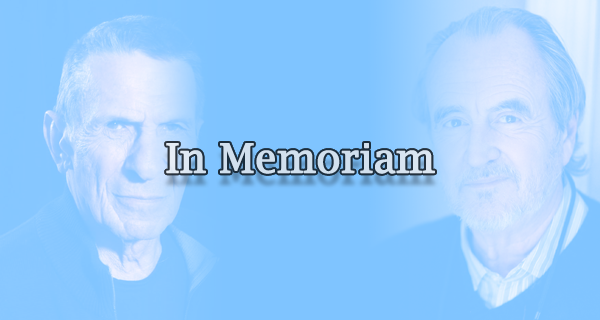 But the passing of countless company contributors (artists, actors, and more) always stings. 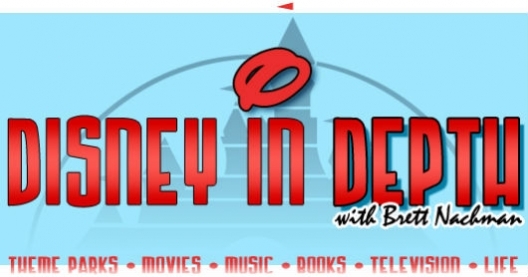 This special edition of Disney In Depth remembers many of the men and women who, in one way or another, shaped how The Walt Disney Company is today. 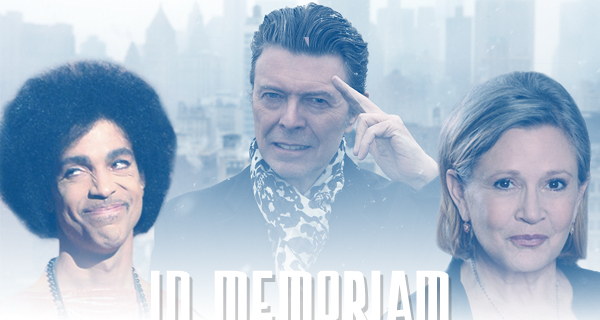 As 2014 comes to a close, we take a moment at Geeks Of Doom to remember all the fallen entertainment figures in film and television who left us this year. 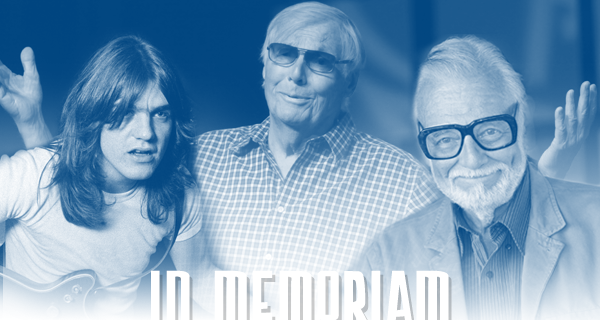 This year, we gave a farewell to a large array of heavyweights, cult heroes, pioneering figures, and sentimental favorites who were among those who have passed on in a physical sense, but leaving the memories, the ones that they made in the past and the ones each of their fans have in regards to them. 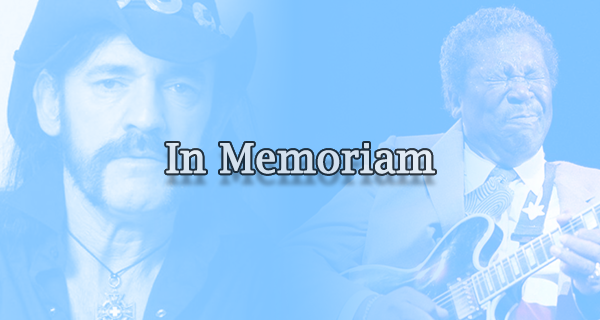 As 2014 is just about at an end, we take a moment at Geeks Of Doom to remember the fallen musicians who left us this year. 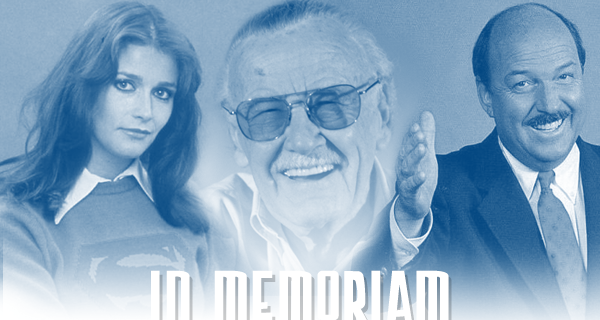 A large array of heavyweights, cult heroes, pioneering figures, and sentimental favorites are among those who have left us in a physical sense, but the memories that they made in the past and the ones that each of their fans have in regards to them will never leave. A list of some of our (and probably yours as well) fallen heroes is below.